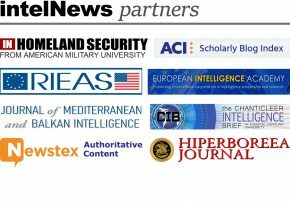 Ever since we launched this website in 2008, we have been monitoring daily developments in the highly secretive world of intelligence and espionage, striving to provide an expert viewpoint removed from sensationalism and conspiratorial undertones. In the past year, we witnessed our fair share of significant intelligence-related stories, some of which made mainstream headlines, while others failed inexplicably to attract the attention of the news media industry. In anticipation of what 2013 may bring, we decided to take a look back to the year that just ended by compiling a list of what we think are the ten most important security- and intelligence-related developments of the past 12 months. The stories below are listed in reverse order of importance. Do you agree with our choices? Have we missed something important? Share your thoughts. 10. South African spy officials faked threats to increase budget. The historical tendency of spy agencies to overstate security threats in order to secure governmental funds is hardly novel. But officials in the South African Secret Service appear to have gone a step further: they allegedly paid some of their informants to make bogus threats against the government, in order to prompt an increase in counterterrorist funding. The bogus threats were allegedly aimed at creating “a false impression of imminent, unprecedented attacks on black people and African National Congress (ANC) members”. Incredibly, or perhaps predictably, nobody from the Secret Service has been fired in connection with this scandal.